Mineola, NY: Dover, 1998. Text/BRAND NEW. Illustrated soft cover/NF w/trace wear. This Dover Thrift Edition contains the unabridged text as published in The Caxton Edition of the Complete Works of William Shakespeare. 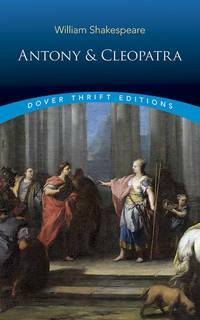 The footnotes are also based on the Caxton Edition, but have been espeically revised and supplemented for the Dover Edition.. Dover Reprint. Soft Cover. Near Fine/None as Issued. New York, NY: Pantheon Books, 1976. Text/BRAND NEW & showing margin discoloration. Illustrated (photo portrait of Liv Ullmann)/NF. Remainder mark to upper text edge.. First American Edition, First Thus. Soft Cover. Near Fine/None as Issued. Illus. by Arne Carlsson (Photographer). New York, NY: Samuel French, 1971. 1971 Catalog. Text/BRAND NEW, showing faint margin discoloration. Illustrated blue soft cover/NF w/light edge & surface rubs.This basic catalog includes all plays published or otherwise acquired up to September, 1970.. 1971 Edition. Soft Cover. Near Fine/None as Issued. London, UK: Eyre Methuen, 1998. Text/one folded corner else NEW & Bright. Illustrated (Nigel Hawthorne & Barbara Ferris, Hampstead Theatre Club production; photo portrait of author on rear)/NF w/trace edge wear. 2-Act play by brilliant British columnist, translator, writer, novelist, and dramatist Michel Frayn. First present at the Hampstead Theatre Club, London, August, 1976. A travel sketchbook describing a fact-finding mission to Cuba. Starring two English journalists, an interpreter, a Spanish-speaking black chauffer who takes them on endless tours of sewage farms, sugar cane processing plants and other industrial show pieces, all under sweltering sun. The characters, gathered together from nowhere, form into varied shapes, only to drift apart and disappear. Fine copy.. Reprint. Soft Cover. Near Fine/None as Issued. London, UK: Faber & Faber, 1974. Text/BRAND NEW w/discoloration along side of spine stitchery. Illustrated (photo portrait of author)/NF w/faint creasing to lower front corner. A powerful political drama set in Brazil; first performed at the Royal Court Theatre April, 1973. The play is based on the bombing of the Cintas Largas tribe during a funeral ritual in 1963 --- first dropping with sacks of sugar to calm the indians, then with dynamite --- supported by the confession of Ataide Pereira. As Christopher Hampton tells us, "Most of the characters ... are fictitious: most of the events are not." The drama is preceded by explantory notes of Hampton. Strong copy.. First Edition, First Thus. Soft Cover/Stitched. Near Fine/None as Issued. 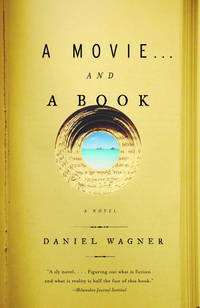 New York, NY: Vintage Books/Random House, 2005. Text/BRAND NEW. Illustrated soft cover/NF. PO stamp (in the shape of a star) by title on front cover & again on fEP. An empty room with a large screen showing another empty room ... a novel, a movie unfolds. Question: what is fiction and what is reality? Fine copy.. First Edition, First Printing. Soft Cover. Near Fine/None as Issued. New York, NY: Vintage Books/Random House, 1989. Text/BRAND NEW. Illustrated soft cover/NF w/trace edge rubs and small rub to upper front. Author signed on front cover verso. Two plays, both for one actor. The first, The Redthroats, is performed on a bare stage with a single chair and no props. The second, Smooch Music, excepting three sections, is performed with a live jazz trio using saxophones, clinet, vibes, aoustic bass and percussion. The former chronicles the life of an Englishman from depressed childhood, daydreaming adolescence, experience in prostitution, and final escape to America. The latter is a collection of vignettes of love and romance.. First Edition, First Printing. Soft Cover. Near Fine/None as Issued. New York, NY: Samuel French Inc Plays, 1954. Acting Edition. Text/BRAND NEW. Pale grey stapled soft cover/VG; Strong & sound, showing faint discoloration w/sticker shadow to upper front corner. Two act play; action takes place in a Paris theatre around 1900. A tale of love, fidelity and infidelity first performed at the Longacre Theatre, Jan 6, 1954 with lead roles performed by Julie Harris, Eli Wallach and Edna Best.. Acting Edition. Soft Cover/Stapled. Very Good/None as Issued. New York, NY: Dramatists Play Service, 1945. SOFT COVER. Text/As New w/trace margin discoloration. Blue soft cover/VG w/light wear & faint PO name on upper front. PO pencilled to fEP. Strong copy w/light bent to upper corner from poor shelving. First produced by Joseph M. Hyman & Bernard Hart, directed by Moss Hart, at Henry Miller's Theatre, New York City, Dec 13, 1944, with setting by Frederick Fox.. First Edition, First Thus. Soft Cover/Stapled. Very Good/None as Issued.